There are 14 8000 meter summits in the world, and 12 of them have been climbed in winters, only Nanga Parbat and K2 still stand unclimbed. Mountaineers are attempting to climb Nanga Parbat since 1988, which makes 27 years to the date. More or less 27 expeditions have tested their limits on Nanga Parbat in winter, and none of them could reach the summit of Nanga Parbat. A lot of questions rise: what makes Nanga different from other 8000ers? 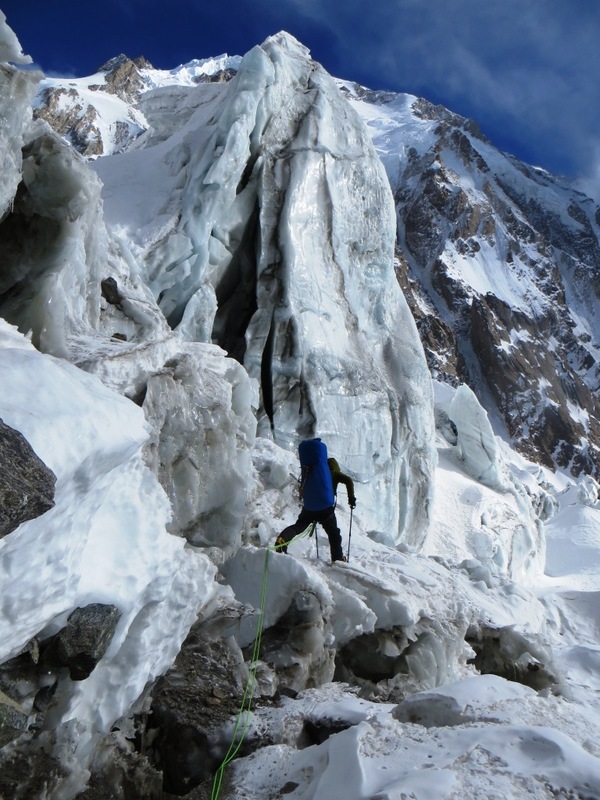 Why is it still unclimbed in winter? 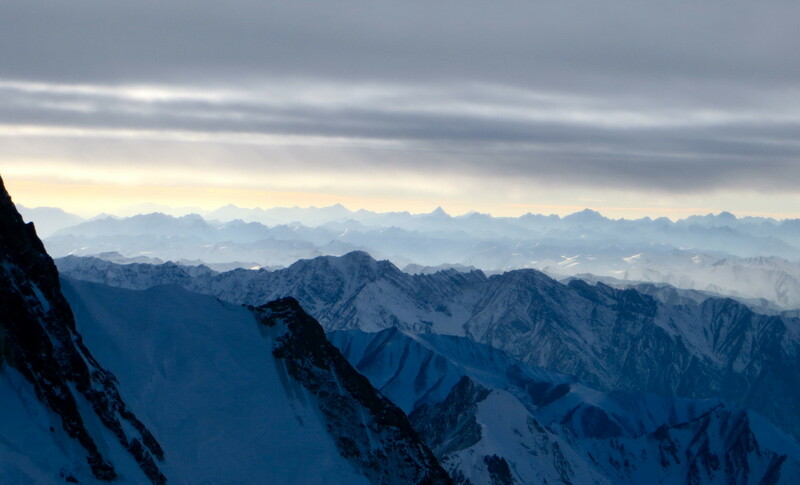 When Mount Everest can be climbed in winter, why can’t be Nanga Parbat? Over the years, the mountaineers who tested themselves on Nanga in winter have answered these questions. Nanga was attempted first time in winter 1988-1989 by Polish team. The team was lead by Maciej Berbeka himself, who had made several first ascents in Himalaya (Nepal). Maciej was astonished after looking at conditions on Nanga; he said everything is cruel on this mountain and conditions in Western Himalaya are way worst in winter, “blue ice, lower temperature, faster winds and less weather windows.” The highest altitude reached by Poles was 6800 meter. The most successful attempt on Nanga Parbat in winter had been made by Poles till date. The expedition was led by Andrzej Zawada in winter 1996-1997, who is considered to be father of winter climbing, and respected greatly by all mountaineers. Zbigniew Trzmiel reached an altitude of 7875 meter, he was only 250 meter short of summit when he got severe frost bite and retreated down to base camp. On the other hand, Krzysztof Pankiewicz retreated from 7700 meter. 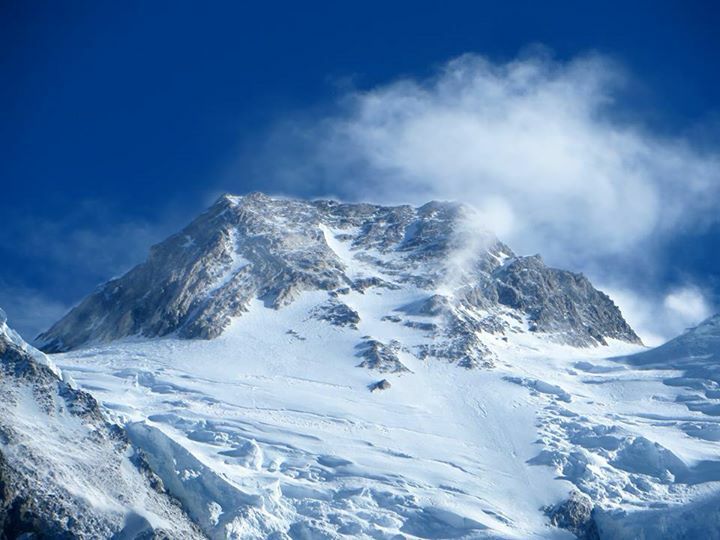 Both climbers suffered severe frostbite and were rescued through heli from base camp. Poles tried again several times but could not exceed 6800 meter. Many expeditions failed in the meanwhile and no one could reach 7000 meter after Polish 1996-1997 expedition, until Tomek Mackiewicz joined in. Tomek Mackiewicz after two failed attempts was successful in breaking the shackles and reached above 7000 meter on Schell route in winter 2012-2013. The highest altitude reached by Tomek Mackiewicz was 7400 meter. 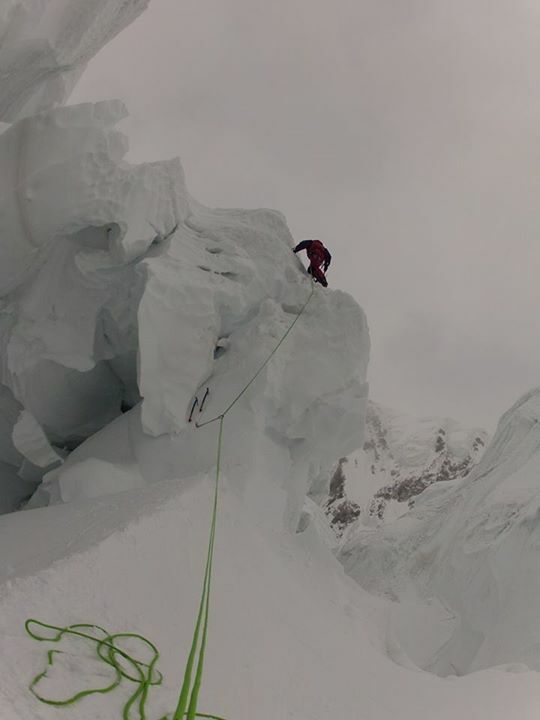 The very next year in winter 2013-2014, Polish climber Tomek Mackiewicz and German climber David Gottler once again exceeded 7000 meter and reached 7200 meter on Schell route. David Gottler also spoke of obstacles and he said; above 6100 meter there is hard winter ice, which is normally referred to as blue ice, which makes climbing very technical and physically hard. Gottler further added that wind is very fast on Nanga; the faster the wind, the lesser your body preserve heat and energy; he further said, I never felt so cold on any mountain. Then came the winter 2014-2015, when French climber Elisabeth Revol and Polish climber Tomek Mackiewicz decided to go on Messner (2000) route, which is long route, but less dry. 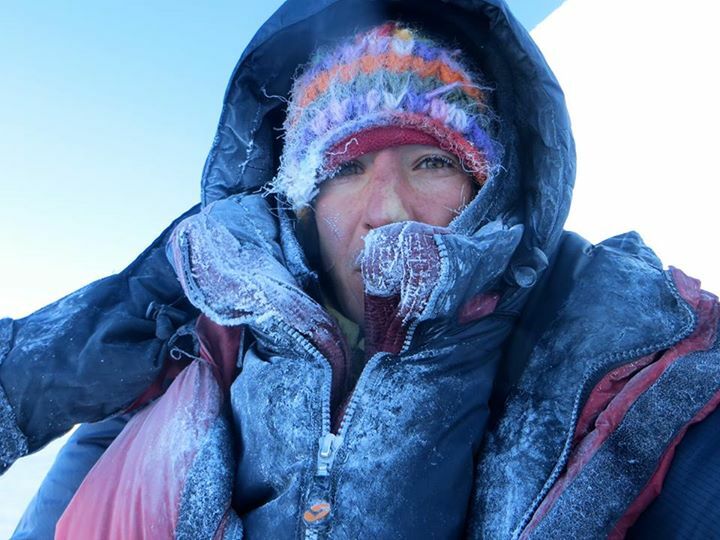 In start, mountaineers were not expecting much from the duo, many were of the belief that a woman might not bear extreme cold physically and psychologically. 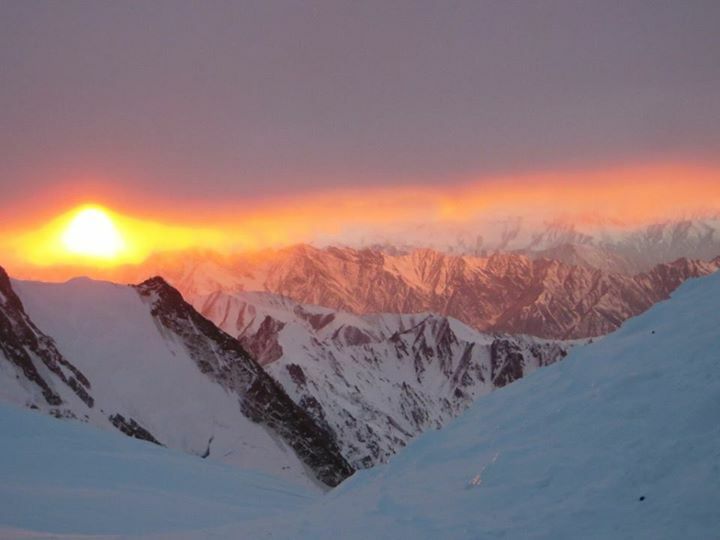 But against all odds, French-Polish duo reached the second highest point in history of Nanga Parbat in winter. Elisabeth Revol and Tomek Mackiewicz reached 7800 meter on Messner 2000 route, Messner route was not climbed above 7500, not even in summer, but Elisabeth and Tomek reached 7800 on Messner 2000 route in winter. They had to turn back because weather turned bad, and wind strengthened. Elisabeth Revol on Messner-2000 route, Nanga Parbat. 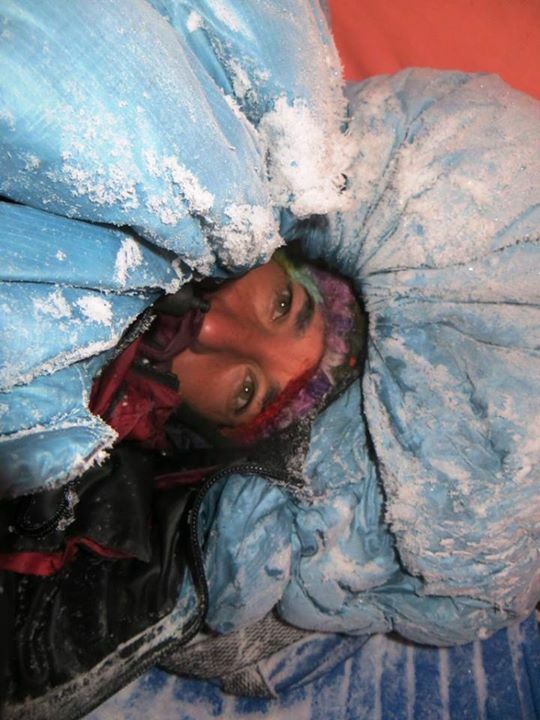 Elisabeth Revol being a woman outclassed most of the men who had ever attempted Nanga Parbat. One special thing about their expedition was that it was completely carried in alpine style; no deposits were made, no higher camps were set, no rope was fixed (only used rope to pass on seracs), they mostly relied on bivouacs. Elisabeth setting rope on Seracs. 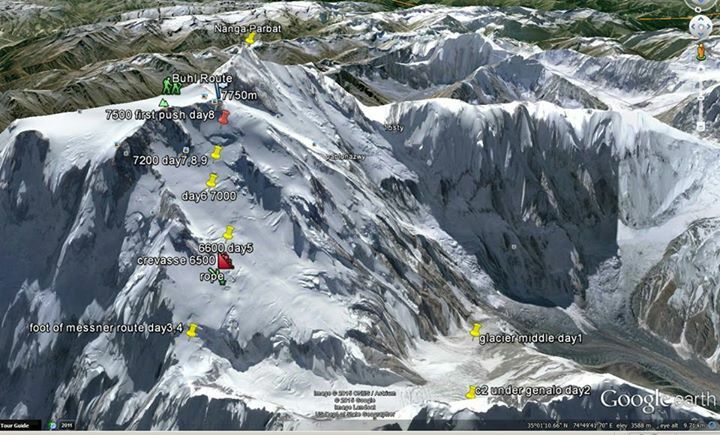 Nanga Parbat, Messner 2000 route. Tomek on Nanga Parbat in winter, Messner 2000 route. 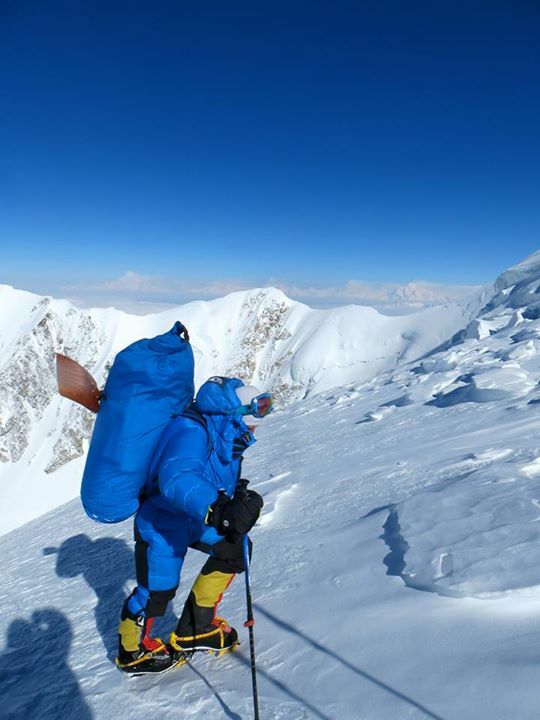 Elisabeth Revol at 7200 meter on Nanga Parbat, Messner 2000 route. The picture shows the progress made by Elisabeth and Tomek on Messner 2000 route.